This car was bought in the late 40's from the original owner. It has been in several states of repair over the years. When it was totally restored in 1984 the speedometer had 36,779 miles. During the years, it had been painted several times, everything from a light cream color, midnight blue, to black. During the restoration process, the bottom coat of paint was the original Stone Brown, just what we had planned on using. 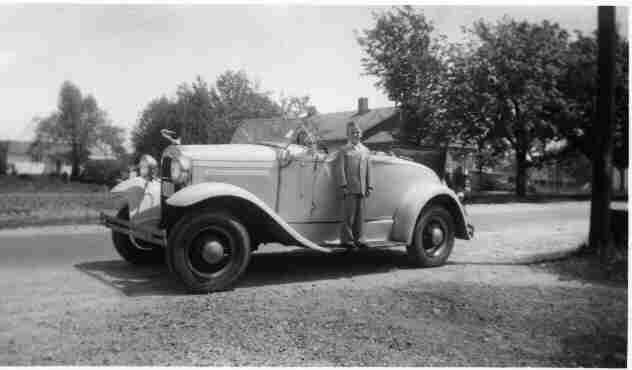 The pictures above shows the car in the early to mid 1950's. The young man is the second generation of the family. 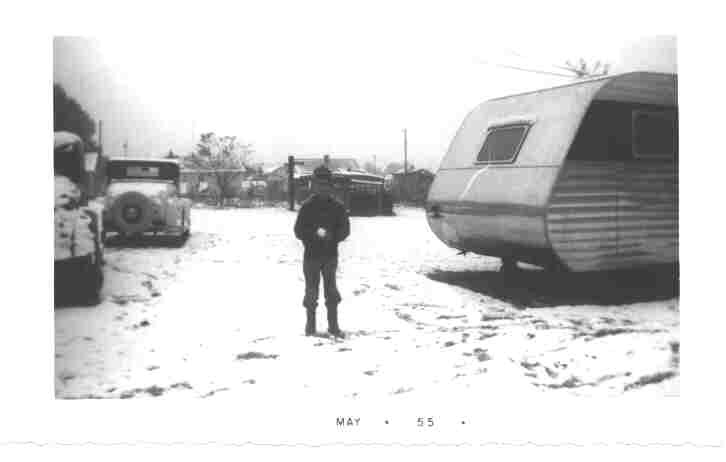 The first picture shows that the car spent most of its earlier life outdoors. It was a car that was always around to have fun with. If you look closely at the next picture, you will notice the wheels had been changed from the original 19 inch to use 16 inch tires. This was common because they supposedly rode better and 16 inch tires were cheaper and easier to find. Displayed with pride by the 1st generation owner. 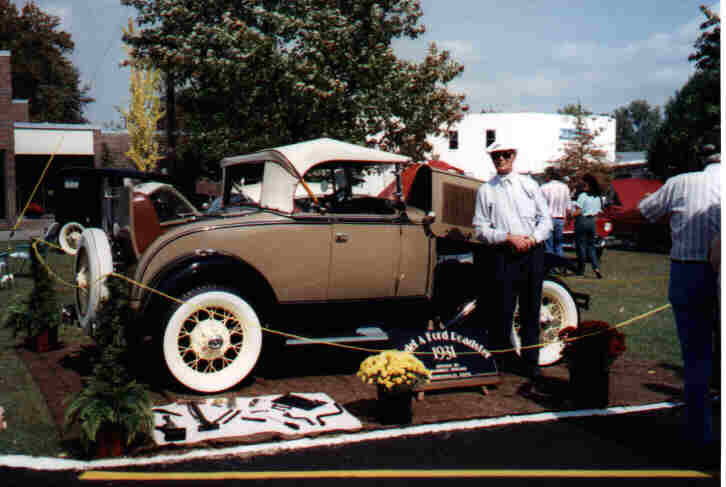 This was at one of 15 car shows attended in 1998. On March 3, 1999, he passed away. 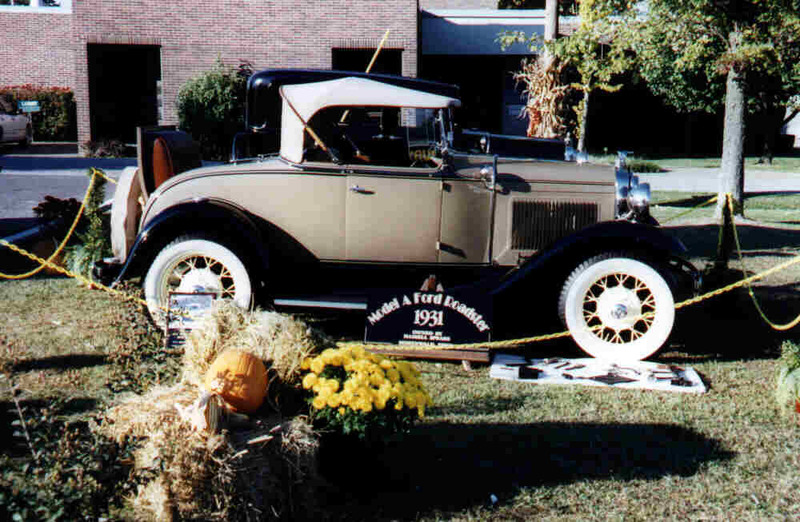 The car will continue to be shown, but now in loving memory of Hassell & Mae Spears. 4th Generation - Lilli Anne in June 2009 at the Southeastern AACA Show in Lebanon TN. 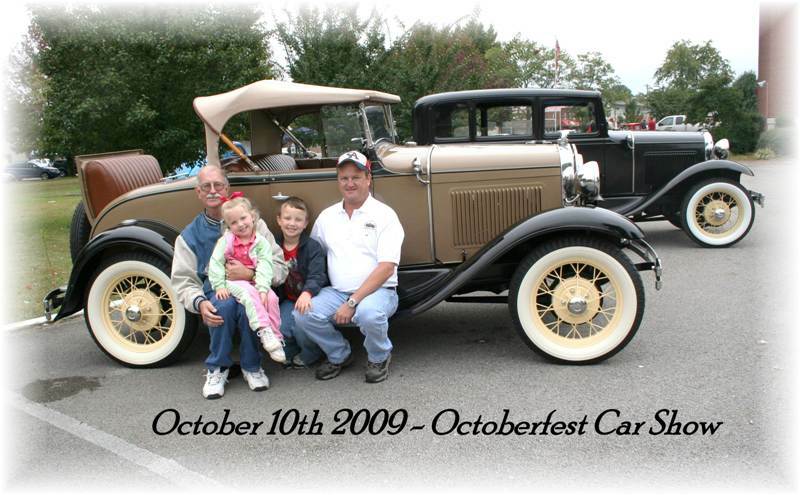 4th Generation - Grant & Madison at the 16th Annual Car Show in Hohenwald TN. The CAR is 79 and looking good!